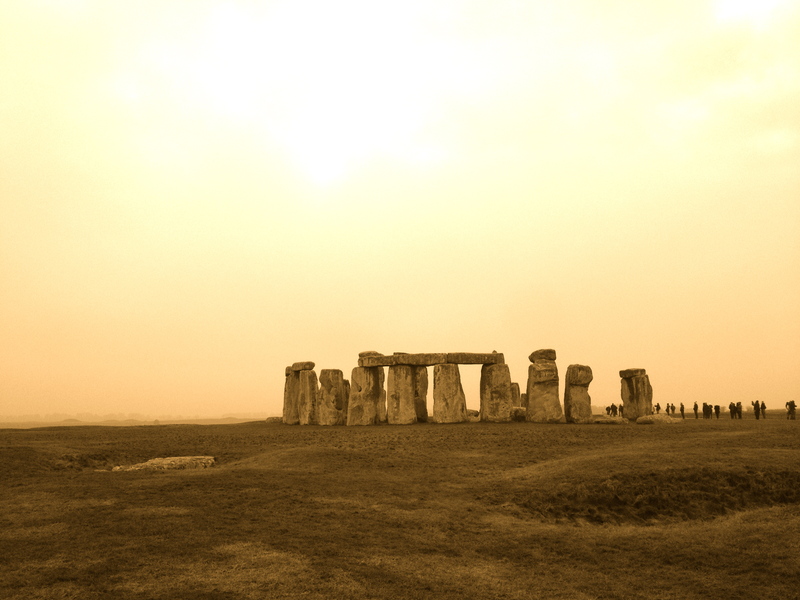 There is something incredibly – er – timeless and ancient about wandering around Stonehenge in mid-winter, frost on the ground, icy mist clinging to your skin and a weak wintery sun teasing from just beyond the clouds. 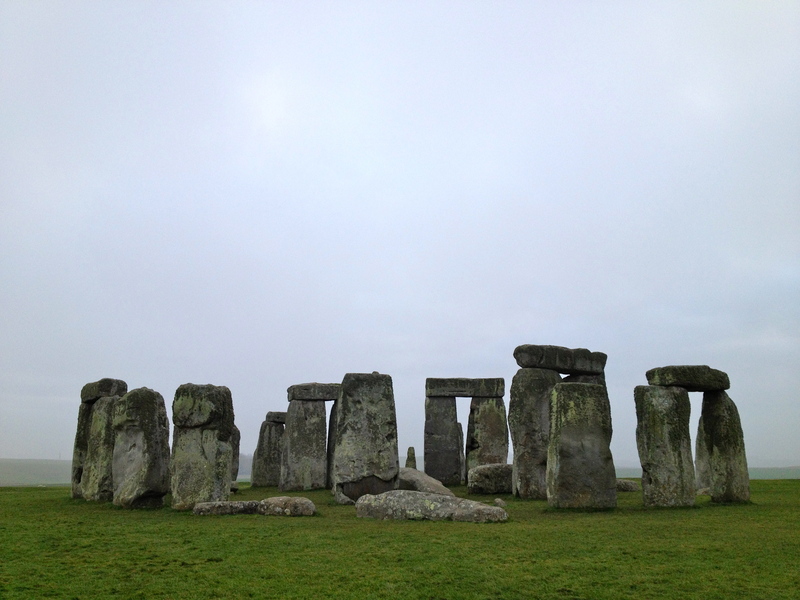 The kids and I dropped in late in the day on the way back from Devon to London in the new year, and if a band of druids had emerged from the mist instead of Chinese tourists, we would not have been surprised at all. The last time I visited, about a million and two years ago, you just parked in a layby beside the road and headed in for a look-see. There are now plans to take the entire road underground so that the landscape is returned to what it would have been thousands of years ago when Stonehenge was first built. Now there is a most impressively and sensitively done visitors centre, 2km away, so it does not impose on the landscape. You can choose to walk the grassed pathways across the fields, much as the locals might have done 3000 years ago, and approach Stonehenge across the plains. Alternatively, you can cop out and jump in a very efficient (and very warm!) little bus which drops you about 200 metres from the stone circle. Along with your admission price comes a free audio guide which will help answer all those questions you have: “Where are the stones from?” (Some of them are from Wales); “How did they get here?” (rolling wood carts and possibly boat); “What was it for?” (They still can’t say for sure, but possibilites are as a sun dial, place of worship and a proto-type MacDonalds drive-in – or not). Still partly unsolved, and all the more awe-inspiring for it.